BuzzFeed is struggling to gain credibility as a source of serious news. Deleted posts in a decidedly un-journalistic way, in the name of journalism. However, the socially-savvy site has struggled to gain credibility, despite hiring people with serious journalistic chops. A Pew study released today found liberals and conservatives are polarized in their media consumption habits. However, there was one thing both sides of the aisle agreed on: Distrust BuzzFeed. BuzzFeed does publish in-depth investigations, but longform content is simply not as shareable as the little girls dropping f-bombs or 25 reasons alcohol should be banned that currently fills its homepage. 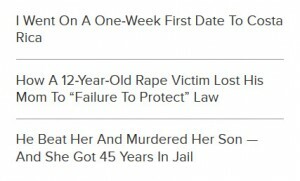 While BuzzFeed’s news vertical is currently promoting feature stories about the folly of “failure to protect” laws, it’s also promoting a first-person essay about traveling to Costa Rica for a date. Most of the great news organizations have been around for decades, and trust is something you earn over time. Our organization is new, our news operation is even newer, and it’s early days for us. The more people know BuzzFeed News, especially young people who make up a small share of these surveys, the more they trust us. 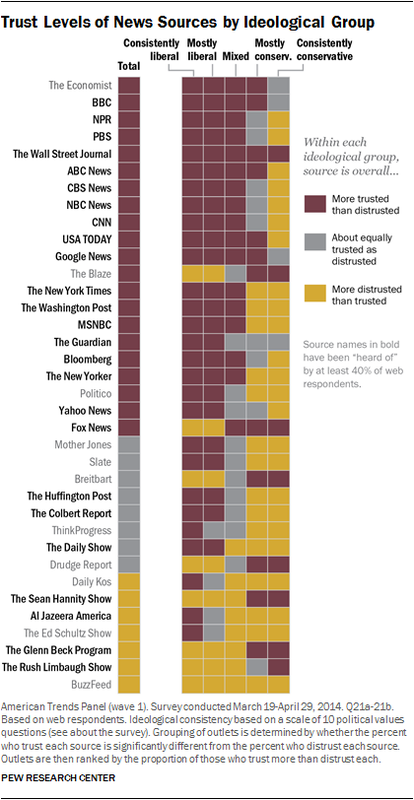 What do you think: Can BuzzFeed ever become a trustworthy news source?